Blessed is the man who finds his strength in thee! 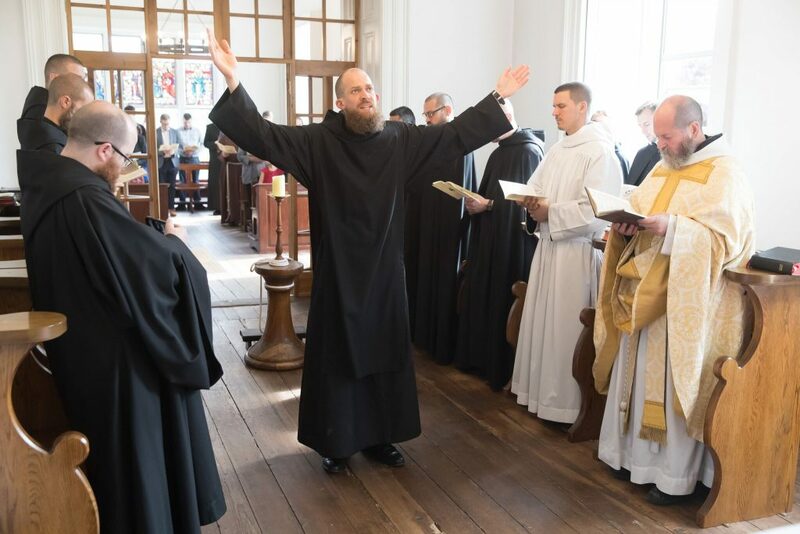 The psalm intoned at the beginning of this Holy Mass of your monastic profession is the very one that we sang on the day when I welcomed you among us. “How lovely are thy tabernacles, O Lord of hosts!” Even on the most monotonous and hardest of days, a certain chaste and humble loveliness pervades the monastic life. It is the light that shines from the Face of Christ reflected on ordinary things and on the familiar faces of one’s fathers and brothers. It is the light that is given to each man, not in a dazzling brightness, nor with equal intensity to each. The light that shines from the Face of Christ, in this exodus of ours, is given to each man in view of the next step. The feast of the Transfiguration of Our Lord is wonderfully suited to the act of monastic profession. The liturgy of the feast condenses, into a single icon for the eyes of the heart and into a single song for the ears of the heart, all that a monk needs to see and hear in order to go forward in his exodus. The words of our father Saint Benedict at the very beginning of the Holy Rule echo and are fulfilled in the words of the Eternal Father on the holy mountain. With the blissful vision blest, my God, of Thee.